Ground Rush productions is currently casting the ensemble for the 3rd round of development for Night Witches, a new play about soviet female combat pilots in WWll. Ground Rush Productions is committed to inclusion and diversity. We are floored by the talent we have seen in auditions, however we are unsatisfied with the turnout of diversity through initial round of auditions. After noticing this, and speaking with an actress of color from the original ensemble, we are making outreach to WOC a priority. 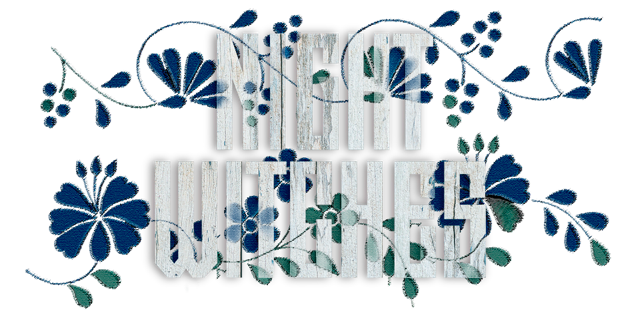 Night Witches is a story about the sisterhood, heart, courage, and resilience of soviet pilots, which we believe should be made visible in all kinds of bodies onstage. We would love to invite theatre makers of color for our 2nd round of callbacks in New York City on Monday, March 11, 11AM-3PM, 305 West 38th Street, Ripley Grier Studios, Room 203. Please email ddcasting29@gmail.com to confirm your attendance. A new play based on the female fighter pilots and members of the 46th Taman Guards Night Bomber Regiment of World War II. Physical, passionate, hardworking, multi-dimensional, multi-talented, female-identifying theatre makers. We want to create a well-rounded company who have experience in music, writing, ensemble-devising, puppetry, and/or design who will continue devising the play as set in motion by the original members of the ensemble. Women of Color strongly encouraged to apply. We are seeking artists who are passionate about the story, flexible with developmental nature of new work, do well in live-in residencies, and thrive in “team’ based exercises and games. A note on Devising: We want to see how the text inspires you as a creator/artist to generate original material. You do not need to use all of the text, or recreate the text literally – we simply want to see how the source material inspires you as an artist with your creative arsenal. For example: An account could remind you of a song – you could come in and sing/play the song. It might inspire a movement sequence. It might inspire an original monologue from another character’s point of view. It might inspire shadow puppetry of flight. It might inspire a soundscape played in the background while you perform the account – and so much more! Get creative! We want to meet you in a creative state! Please arrive early and bring a headshot and resume. The development of the piece will take place in a month long residency April 2019 on Ground Rush Farm in Culpeper, Virginia. Collaborators will work with an existing script, play with found text from A Dance with Death:Soviet Airwomen of WWII by Anne Noggle, devise new material using local resources in Virginia, create new characters, and interact with current text and current characters in creative improvisations, structured rehearsals, and experiential field trips. The residency will culminate in a brief performance period for the local community as well as invited industry guests. 9pm-9:30pm: Check in on the days work and plan for the next; reviewing to-do lists and deadlines for the week. Saturdays: Day trips for research to MIlitary Aviation Museum, Golden Age Air Museum, Udvar-Hazy Air and Space Museum. Free housing (1 bed per member with 2 members per room) will be provided in Culpeper, Virginia at the Kritter family home on Ground Rush Farm. Ground Rush Farm is working family farm, so contribution to cleaning, cooking, and following house rules as set down by hosts is expected.